Wildlife is abundant within the park with sightings occurring regularly, and wildlife viewing opportunities are always a possibility at Red Rock. Mule deer, javelina, coyotes, and bobcats are all commonly seen by visitors throughout the year, as well as a wide variety of birds. Blacktail rattlesnakes are seen on occasion during the warmer months as well as tarantulas and a variety of lizards. If you're lucky, you may see one of the resident river otters in Oak Creek while crossing Kingfisher bridge! 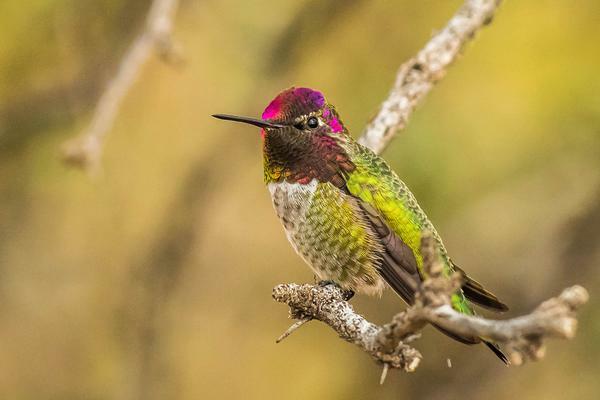 Learn where to view Arizona's diverse wildlife species throughout your state park system on the Arizona Wildlife page. 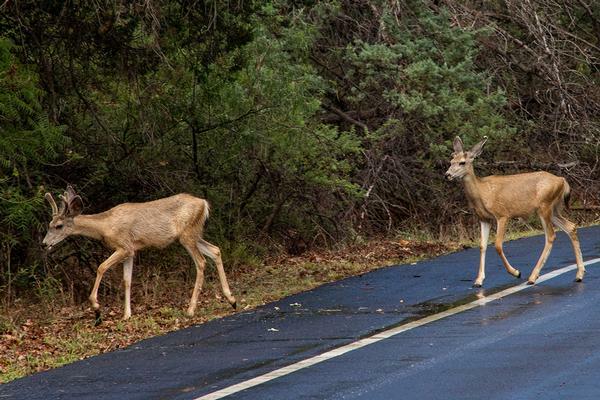 Mule Deer are year-round residents of the park and can often be seen from roads or while hiking the numerous trails found here. Though typically secretive in nature, the mule deer inhabiting Red Rock are somewhat used to people and will often allow some quick photos to be taken before either fleeing or moving off into the thick riparian areas which shield them from the lens. While trying to take advantage of a photo opportunity, please remember to keep your distance however so both you and the deer remain safe and happy during your encounter. To increase your likelihood of seeing mule deer within the park, arrive early or stay late because these deer are most active during the hours closest to sunrise and sunset. Also, while hiking, keep sounds to a minimum while looking ahead for subtle movements within the vegetation. A pair of small binoculars may help you find them as well, or give you a closer look after they’ve been spotted. Javelina are also found within the park and their antics are typically entertaining which ads a ton of value to any trip to this beautiful location. As herd animals, when a javelina is encountered there are typically more nearby. Be on the lookout for others in the area using your eyes, ears, and even nose! The distinct odor of javelina is similar to that of a skunk and will often alert visitors to their presence. As with the mule deer, please leave ample space between yourself and the javelina while enjoying them in the park. 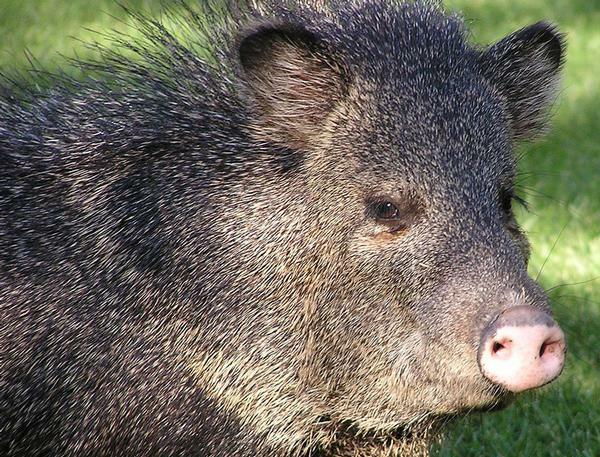 As relatively nearsighted animals, javelina may be unaware of your presence while you watch them in the park. Please be certain you give these wild animals ample space, and if necessary, let them know you are there by talking calmly to them. Above all, enjoy these unique native Arizona residents in their natural habitat, and don’t forget to share your photos with us on Facebook and Instagram on our @azstateparks pages. 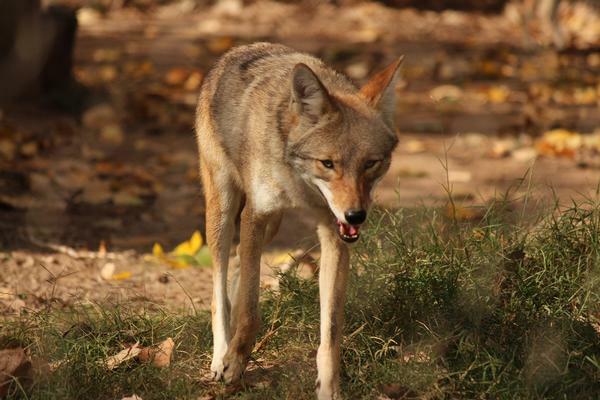 Coyotes can be seen in the park on a regular basis, although they typically don’t stick around for long. As primarily a nocturnal creature, a great deal of their activity takes place at night when the park is closed. On occasion they can be seen hunting for rodents during daylight hours near sunrise of sunset. While hunting they are on the move using their senses to detect prey species and may cover ground quickly during their search. If you’re able to see them during daylight hours consider yourself fortunate, then sit back and enjoy the show! The coyotes in Red Rock State Park are in fact wild animals, please keep your distance during any encounter. You are encouraged to take photos and learn from your interlude with these beautiful wild dogs however, just be careful and try not to disturb nature taking its course. Download a list of birds found in the park. The park has an abundance of resident and migratory birds that can be appreciated by park visitors. In addition to the abovementioned items, a small pair of binoculars will help you differentiate species, or to discern bird shapes among the vegitation. A general rule of thumb is to walk slowly and look for movement, then raise your binoculars to inspect closer. Download the bird list before your trip to see how many species you see while in the park.